In renovating the 100-year-old Eagle Warehouse into housing (800 units + 35,000 sf amenity space), we treated the existing historic structure like a palimpsest. We maintained traces of the original structure and its industrial history as we authored its residential future. Our design of the amenity spaces (lobby, lounges, rental office, library, gym, children’s room, corridors, rooftop and elevator lobbies), preserves and reveals the unique, brutal elegance of the existing industrial structure while delivering community-driven public spaces that capture an uncomplicated, relaxed luxury. Our store design for Mimi + Mo in Long Island City, Queens is up for an AIA award! Vote for our project here. Our design for the Virgin Atlantic Clubhouse at LAX has won two awards in the AIA LA Restaurant Design Awards. The Clubhouse received the award for Best Lounge/Nightclub, as well as winning the popular choice voting for the same category. We are honored to be included in Architects' Newspaper's inaugural list of top 50 Interior Architects! While our work spans a wide range of scales, we are constantly interested in finding new ways of working with interior space. We are honored to have received a National Design Award of Merit from the Society of American Registered Architects for our Virgin Atlantic Clubhouse at Newark. We are pleased to announce that James Slade has been elected to The College of Fellows of The American Institute of Architects. The 2016 Fellows will be honored at an investiture ceremony at the 2016 National AIA Conference in Philadelphia. 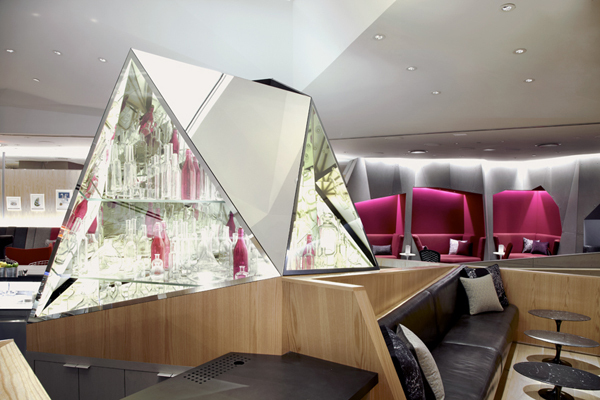 The Virgin Atlantic Clubhouse at LAX is a finalist in this year's Interior Design Magazine Best of the Year Awards. Join us December 3rd as the winners are announced at the awards ceremony. The Virgin Atlantic Clubhouse at Newark received an Awards of Merit for Interiors by the AIA New Jersey State at their annual convention on October 23rd. 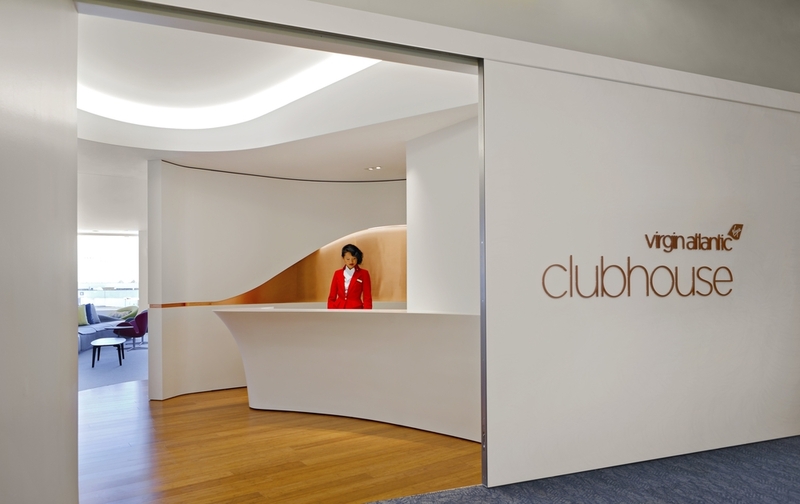 The Virgin Atlantic Clubhouse at LAX received an honorable mention in the 2015 London International Creative Competition. The Virgin Atlantic Clubhouse at LAX is a winner in Interior Design Magazine's 1st annual MakeItWork Awards. 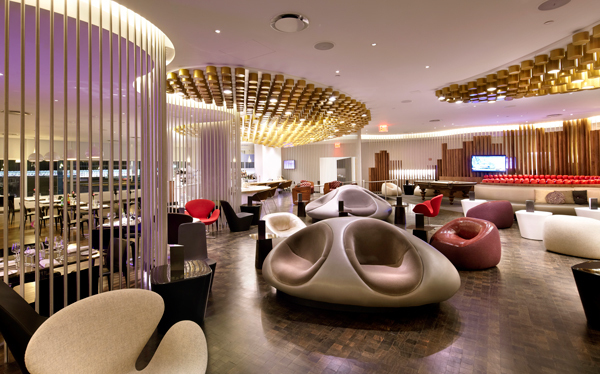 The Virgin Atlantic Clubhouse at JFK was honored with a Design Award for Interiors at the Society of American Registered Architects' National Conference on October 16th at The Mayfair Hotel in Coconut Grove, Florida. James has been appointed as a member of the 2016 AIA Institute Honor Awards for Interior Architecture Jury. Click here to view the award's Call for Entries. Hayes has been chosen as a juror of the Contract Interiors Awards. Enter here by Sepetember 14th in the following categories: adaptive re-use, civic/public, education, healthcare, historic restoration, hotels, large office, restaurant, retail, showroom/exhibit, small office, spa/fitness, sports/entertainment, sustainable (green) design, and student. We are delighted to announce that Sullivan Street Duplex and Staten Island Zoo Carousel are finalists in Interior Design Magazine's Best of the Year Awards 2014! Virgin Atlantic Clubhouse at JFK is Building of the Day #7 this Archtober! RSVP for the Archtober tour with Jeremy Brown, Hayes Slade, James Slade, Callie Tedder-Hares, and Clementina Cracroft here. Virgin Atlantic Clubhouse at Newark Airport has been nominated for the James Beard Foundation Awards. We are honored to announce that Virgin Atlantic Clubhouse at Newark won the Interior Design Magazine's Best of Year Award as Best Bar/Lounge of 2013! Slade Architecture attended the Storefront for Art and Architecture's Halloween Party. This year's theme was CorporateAvantGarde. 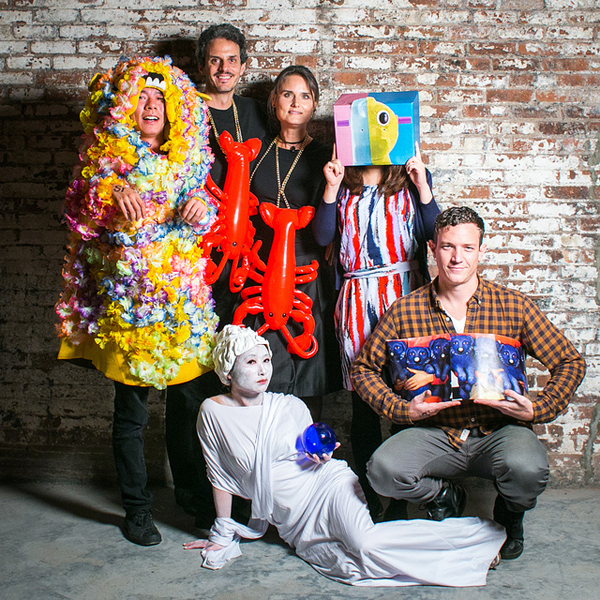 We presented ourselves as "Jeff Koons Retrospective" and won the Grand Prize for Best Costume and a golden chicken! We won the Best Costume and received a golden chicken! We are thrilled to have both Virgin Atlantic JFK Clubhouse and Newark Clubhouse shortlisted under Americas Bar category for the Restaurant & Bar Design Awards!